It didn’t take long for the discussion about the Canadian Hockey League’s recent ban on European goaltenders to trickle down to the bigger problems facing puck stoppers in Canada, and most start long before junior hockey. That won’t be true for much longer. McNabb said Hockey Canada has been talking about – and working with – the provincial organizations on the program behind the scenes “for quite a while.” It will in essence be similar to the skills and skating programs that have been in place through the Coaching Association of Canada since 1999, when a summit was called to address the lack of skill among forwards and defenseman. LA Kings goalie coach Bill Ranford can speak from experience when he works with goaltender Jonathan Bernier, but Hockey Canada knows that isn’t true for everyone, and wants a program that allows more youth coaches to properly teach goaltending basics. 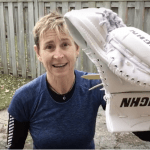 Level Three will be geared towards goalies that are 14 to 17 years old and “really starting to hone their game,” said McNabb, and will address how to recognize and incorporate some of the individual differences among the goaltenders. 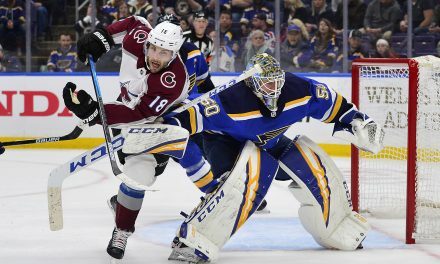 The key, said McNabb, is agreeing on and developing the skills goalies need at an early age – without necessarily predetermining a style of play too soon. The question many wonder is how – and by who – that base is determined? Miikka Kiprusoff made significant changes to his game with former Flames goalie coach David Marcoux, who is leading Hockey Canada’s new goaltending development and coach certification. Former Calgary Flames goalie coach David Marcoux will lead the goaltending side, working with regional coaches from across the country just as he at this week’s Program of Excellence camp for Canada’s top under-20 ‘tenders. This is a welcome sight to see and read about. 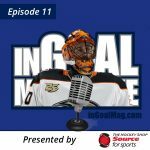 Many people know it’s long over-due especially people like myself who have been trying our best to pass on what I/we knew about being a goalie. Over the many years I have been coaching I couldn’t tell you how many parents came up to me and others just to complain and ask “why isn’t my son or daughter not getting the same instruction that the rest of the players getting?” I played goalie from the age of 15 to 40 years of age and the only year I had any instruction was my last year of private (High) school. I first began to coach goalies in 1965 when I realized there wasn’t any help for the goalie. It was trial and error for a number of years until I found some books and video’s that could teach me more about the position. I was one of one for many years and so I was very busy every hockey season working with more that one team with goalies who wanted to learn. As far as I know I organized and ran the first ever goalie school in the Ottawa Valley in the Fall of 1972. I was able to do this with the kind assistance of Mr. Keith Duke who was the President and one of the founders of the Nepean Hockey Association. As I’m sure you can guess it was a BIG success and from that point on we had goalie camps that were sold out every Fall. 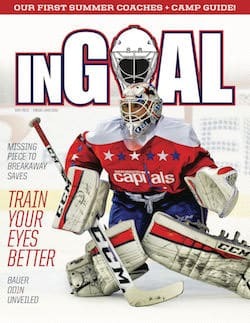 I was so happy to read this article and know in my heart that goalies who want to learn how to become a better goalie are FINALLY going to be taught by a Goalie Coach who has taken the Hockey Canada “GOALIE INSTRUCTOR CERTIFICATION PROGRAM” which is being put together by Corey McNabb and a team of people who have either played or taught goaltending or both. I spent over 40 years coaching from the Atom level of hockey all the way up to JR-A but I spent most of my time in minor hockey because that’s where I was needed the most. Though I have retired from coaching I am willing to help anyone I can over the Internet in finding the best video’s (DVDs), programs (on ice as well as off ice) plus the part of goaltending that is often forgotten which is the Mental aspect of being a goalie, which is very important. 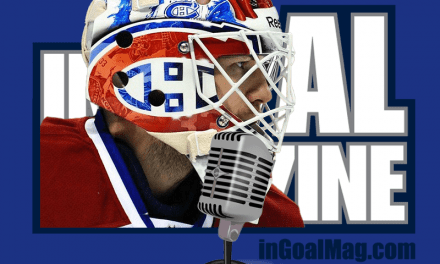 For my final 5 years of coaching goalies I worked for and with John Haley from the GoaliesMind about the importance of Mental Training for goalies and learned more than I could ever have imagined. In saying this I hope they add “Mental Training” in the Goalie Coaches program as it is very important. I could say more but I think you know how I feel about this fantastic news. I can’t wait to see what the Certification Program consits of. When is this Goalie Coach certification program by Hockey Canada coming to fruition? I have a 9 year old son and my husband and I are frustrated. We pay the same fees and yet our son goes uninstructed. We see him excel in this position…it is the right position for him, yet the system as it, excludes training goalies. His coach last year admitted he knows nothing about training goalies and gave my husband 15 minutes per practice to provide some instruction. WE pay for the clinics. WE pay for the camps, because with out that, there would be no development. So, where is this wonderful goalie coach training? It isn’t listed on Hockey Canada’s web site. This is to all those Goalie parents out there who are frustrated with the lack of coaching for their son and/or daughter who plays the best position of all “GOALIE.” But, when the season begins you find out very quickly that your son and/or daughter don’t have a goalie coach and even quicker you find that they become a target for anyone who shoots a puck at them. I have found that there are very few goalie coaches in Minor Hockey all across Canada and probably in the United States as well. There are many Summer Goalie Camps and Clinics but when it comes to joining a team there is very little to none at all coaching for goalies. I have been fighting this problem for way too long and I would always say the same thing that you are thinking and saying: “When is my child going to be taught how to become a better goalie?” The parents of a goalie pay the same amount of money as every other player on the team but the problem lies in the fact that approx. 95% of the coaches do not know anything about playing goalie let alone how to coach or teach the position.” For a short time I was one of those parents as I had a step son who played goalie. The difference with me is that I was a goalie until my knees said “no more” and I had to retire. When I decided to try and make a difference I didn’t know anything about coaching goalies. I didn’t have anything to look back on because the first goalie coach I had was in my final year in school and my goalie coach was a retired goalie himself and he didn’t know how to teach either. When I began coaching I purchased anything and everything I could find on teaching goalies to be better goalies. 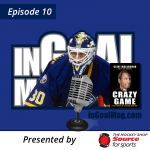 When I felt I knew enough I began to specialize and only coach goalies. I would never say that I knew it all because I didn’t but I knew I was making a difference and the goalies were happy to get some instruction. Over the years I improved greatly and in the mid to late nineties I ended up working with a couple of goalies who were in the OHL. Over the years I had to learn many different save techniques as well as things I never saw or did myself but I knew how to coachi it and that’s what was important. If you are going to do the job right then you should do the best you can at that job. I would always give 100% effort with everything I did and I expected my goalies to do the same. With regards to the new Goalie Coach Certification Program (GCCP) I don’t believe it will be in place until late next summer or early into the fall. I feel that way because everything came down so late and to try and put a brand new program together in a hurry would not be the right thing to do. This has to be thought out and then planned properly so that everything is covered from having the Instructors of this course know what they are doing and how to coach coaches. It’s much different coaching a young goalie of eight or ten than it is to coach an adult of 25 – 38 especially if they think they know more than the Instructor. As far as I’m concerned I’m now seventy-one and I’m still learning. I’ve had young goalies throughout all my years of coaching (40), suggest things to me that I felt were very good and I would then adapt his or her idea into a practice. You are never too old or too young to learn. Parents, I know it’s frustrating actually, I think it’s gone far beyond frustrating but unless someone can come up with an idea I don’t believe anything will be done until 2014 possibly 2015 and I hope I’m proven wrong. But to give you all an idea, I first suggested they start doing something about coaches learning how to coach/teach goalies back in the eighties and now it’s September of 2013 which is 30 years later and still nothing. I could learn from but that the goalies I would be working with could learn as well. At my own personal expense I purchased multiple books and goalie manuals on the subject as well as many DVDs. 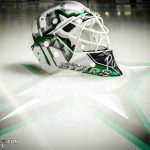 The Mental Training took me a little longer to find the right program but after many hours I found an excellent one at “ http://www.thegoaliesmind.com “ John Haley is the founder of this program and you can find out more about John on his site. 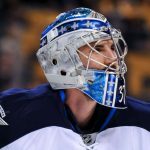 Anything you would like to know about his program I can pretty much fill you in as I sold it for a couple of years and there are now many goalies in all parts of Ontario, who use his Mental Affirmations Program and as far as I know they have all been able to become better goalies with it. Since 2006 I’ve had every goalie I’ve coached and or taught using this program and with each of them, if they did as John instructs them to do you would see the difference in their play. If you’d like to get in touch with me just let me know and possibly I can help you out. I’m now retired from active coaching and have been since 2009 but that has never stopped me from trying to help others. I have a lot of information sitting hear gathering dust, well not really, as I’m reading and/or watching video’s as I help other parents and coaches around the world. The Internet is an amazing tool for sure. Send me your email and I will write back. That is my promise to you. Great posts. I too am involved in minor hockey specifically as the goalie coach having played goal through high school and university days. Until everything gets up and running officially, do you have any teaching material/DVDs that you find are the best specifically for Atom and PeeWee level goaltending skills and drills? If you would be so kind to email me directly that would be appreciated. Keep up the fight!! Natalie-we have the same exact problem!! 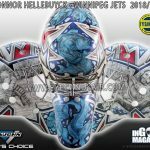 they upped the price this last year so the goalies are now paying as much as the players and yet they did not provide a coach for my son. i feel my son has been robbed. butttttt on the hand…if they did provide a coach and they had no idea what they were doing what justice would this be doing to my son? i would rather them lower the fee or credit me for private lessons. heck for that matter they could have a once a week private lesson for the goalies. Canada is definitely on the right track (as usual) for producing a much more uniform team. the team cant rely on players alone, your goalie is your last line of defense and they have to know what to do. I’ve been a goalie coach for over four years now, And lucky enough, I was able to team up with another goalie parent who happens to be a goalie coach too. 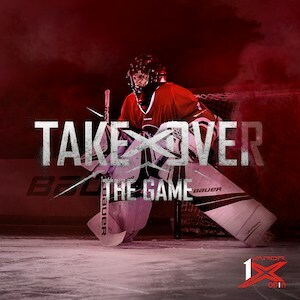 We created our own off-ice training program for young goalies. I’m confirming to all of you, It does not make sense that all the players on the ice, are out there practicing to better them selves while the goalies are expected to stop pucks. “MY GRANDMOTHER CAN STOP PUCKS! !” It’s not ONLY about stopping pucks, It’s about learning HOW To stop pucks, HOW TO get up fast, HOW TO move, HOW TO position, HOW to hold the stick, WHERE and HOW TO hold the mit. This last Saturday, as I was on the ice after getting up at 5am, I used the leftover space on the rink to teach my little guys. That day, we were all “blessed” by the VP’s surprise visit to the rink. The BOMB. this VP ( F**kn) Idiot, calls me to the side and ORDERS me to make it real fast and send the goalies to go serve as target for the players to practice their skill. The only thing left for me to do at that point, was to exit the ice before I……. Our city has the privilege of having, not one, but TWO goalie coaches (for FREE), and this “King SH*t” VP is not willing to acknowledge what is logically the best for the young goalies. Note that if this VP friend of mine has this philosophy, and each one of you has your stories and frustrations, I guarantee you that the problem is worst than it seems, People at Hockey Canada can not make a change because each city with their organisation have the last say on, is it worth putting time and money into the goalies. And most of these VPs and other deciders, are as ignorant about a goalies real needs than all those coaches that are not giving the time or the ice space to better their goalies skill. Goalie coaches do exist. All the hockey associations need to do is invest a little money. And the excuse that no ice time is available is crap. Because getting access to a school gym is easy and low cost for the league. 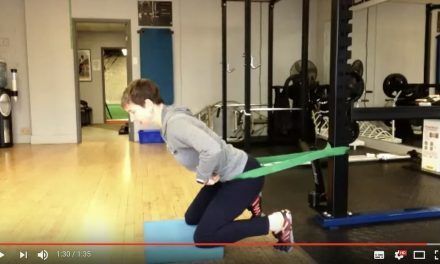 Off ice training will be so beneficial to goalies. There are so many exercises and theories that can be thought off ice. Thank you all for your time to read me. To Corey McNabb Oh PLEASE do advise us (me) when this program will be available to current coaches! I very much want to further my coaching education and experience. Do we need to register by email for an update? This may all be great BUT it will still be a huge problem getting ice time from most head coaches to work on anything goalie realated. I have been coaching my son who is 11 and usually the other goalie on his team for the past few years. Most coaches only run full ice drills, leaving no room for us to do proper goalie drills…..
Hi Rick, I understand your frustrations very well. Possibly you’ve read some of my comments in the past week but if you haven’t I can tell you that I coached goalies from 1965 through to 2009 and the main reason I did it for so long (other than I loved doing what I was doing) was the fact that there wasn’t anyone in hockey who would just spend time with the goalies and who knew what to do. I could go on but for now I’ll leave it at that. I beleive the problem you have had in the past and possibly will continue to have into the upcoming season will disappear in the future. When they finally implement the Goalie Coaching Certification Program (GCCP), they will be instructing coaches to give the goalie coach ice (and a net) so that he/she can work with the goalies. If they don’t do this then all of the work they are doing to have Goalie Instructors and goalies becoming better at their position will be lost. I don’t believe they will allow this to happen. For the time being you must speak with the head coach of the team and tell him how much time you need at every practice and tell him that you will need one of the nets and that he must keep the players away from interfering with the goalies. This is what I had to do everytime I was working with a new coach. 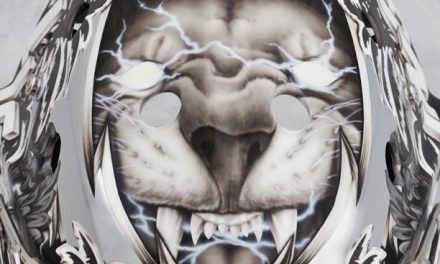 They wanted me there and so I laid down the law and they either went along with what I said or I went to another team who was willing to allow me to work with the goalies properly. As you know very well, the parents of a goalie pay the same amount for their child to play hockey but in the past the goalie hardly ever got proper instruction unless a parent came out and helped, as you have done. Btw, well done, at least your son and the other goalie got something. I’m willing to help you find programs on the Internet and Video’s (DVDs) as well because I have spent well over a thousand hours in the past 10 years looking for programs that could help me learn more so I could help the goalies I was coaching. 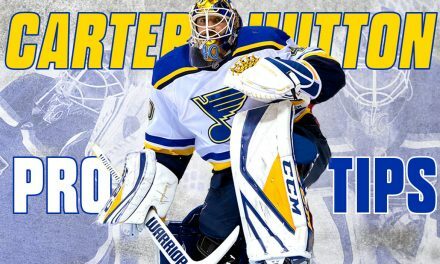 I was a “stand-up” goalie when I played and when I retired from coaching I was teaching the “Hybrid.” Goaltending has changed over the years and as a goalie coach I had to stay on top of all the changes. Send me your email and I will get in touch with you. 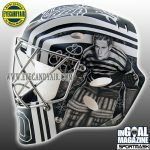 I spent several years working with John Haley who owns & runs The GoaliesMind (thegoaliesmind.com). John teaches the Mental part of being a goalie which is very important. I hope I can help. [email protected] is my email, we can talk one on one . This is the actual root of the problem. My son has been lucky enough to have goalie coaches on the ice. But the head coaches feel the goalie needs to be in the net at all times just in case they might eventually get a shot on him. It cannot be acceptable for a coach to say that he knows nothing about goaltending so he’ll “leave that to the goalie coach”. There’s only three positions to learn – forward, defence, and goaltender. I’d love to apply for a head coach job saying that I know alot about goalies and defenceman but nothing about forwards and see how far I get. Without a practice that is designed to include goaltenders, having a certified goalie coach won’t make a difference. We can train our goalie coaches all we want but it’s wasted when head coaches are too stubborn to take the time to learn how to include goalies in their practice. Our biggest complaint for years from goalie parents is that there is no focus on goalie training at practices. We have managed to work with goalies during their regular scheduled practices with the approval of their coaches, however not ALL coaches agree to it. So this may be a good thing to finally give all goalies the chance to get the attention they deserve for their skill development! Agreed, our biggest battle for goalie parents is getting the coaches to agree for us to work with their goalies during practice. They don’t always see the need for it. This will be a wake up call for them. Unless there are three things in place this direction will have the same effectiveness as Justin Bieber’s at the Grammys. 1) EVERY head Coach must take and pass an “effective use of goalies in practice” seminar. 2) EVERY HEAD COACH , must donate 15 minutes of dedicated practice time for the newly certified local goalie coaches to work with the goalies. Yes…. This means getting old school coaches to actually learn how to do a practice without a goalie… You know…. Not 30 minutes of rapid fire drills, 2-0 wisconsins…… Endless uncontested line rushes…. 3) anyone head coach who utters this phrase “I don’t know anything about goaltending” needs to resign immediately. If you, as a head coach can’t take 2 hours to study readily available, rudimentary, fundamental goalie information, you need to go back to Tim Horton’s and have another maple donut. I would go as far as to say that many team sessions hurt the goalies. 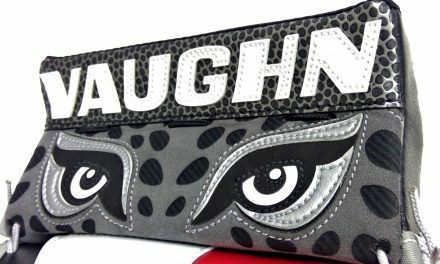 Bad habits are installed and progress is slowed down! Head coaches here in Sweden are also very conservative and drills and the way you run a practice is hard to change. Can you imagine if the players would just play their rebounds?! Every head coach should read this. It’s been a battle for years and I think this may be a small step in the right direction for sure. If you want to be a head coach do it for the right reasons for sure. Know your team, know the positions, know the game. It is great news that something is going to start. But it will be hard to implement in Canada’s minor hockey system. Even with the program and goalie coach certification, does that mean organizations will assign goalie coaches to teams? Who selects/assigns goalie coaches? Are there enough to go around? Will goalie coaches be compensated through team budget or organization or Hockey Canada or volunteer? If compensated, where are the funds coming from and will people be ready to set aside these funds for the goalie program? If not compensated, it will be hard to find enough quality goalie coaches for every team. I see a lot of resistance from head coaches, non-goalie parents, teams, and organizations if it will cost ice-time and money. Hockey Canada will need a heavy hand to successfully implement and enforce the program. If only some teams/organizations adopt the program and some don’t, then it is really not a national program. But at least it is better than nothing! I have my stopwatch running as we speak!!! Hi Larry6 i would really like to speak with someone in charge of putting this certification in place , i believe from talking to other pros and from my schools that not everyone should have the certification,it should be goalie coaches /instructors like us in the field already.with proven track records , i think you`ll get a watered down product.delivery and instruction. It would be like a Doctor teaching ANY lay person about medicine and to go out and instruct and teach. I have many examples to share not just from the hockey side but from the injury therapy side,college teaching side as well. Hi Jon, no i don`t mean to shun parents who mwant to coach but being in the system and seeing/hearing what goes on behind and sometimes in front of ones eyes is upsetting , ie,abuse,playing favourites especially from the head and assistant coaches politics and the like Again this is not with all coaches /parents but there is a problem here.im more worried about a watered down product,i run a year round/weekly school and numbers drop especially when someone else coaches on a team or runs a clinic for free /volunteer ,,i along with others charge so that we can pay for ice and in my case the level of instruction and expertise i along with others in my situation bring to the table. I agree with you Jon, you also have to remember that Hockey Canada is doing this so the VOLUNTEERS have the basics to start younger kids in the right direction. Not everyone can afford to pay for profesional lessons so this is a start. Remember that 80% of the kids in minor hockey play HOUSE and generally don’t pay for lessons so having parents/coaches/volunteers learn the basics will be a good thing, The 20% that play rep will continue to take profesional lessons. I still maintain that the biggest issue will be dealing with Head Coaches who are set in there ways and how they run their practices…. Many people who truly believe they are experts aren’t…. There are a lot of us out there working our tails off trying to get local associations on board with some kind of goalie training. Getting a certification program in place is huge, but like all responses, it has to be a complete and purposeful commitment. I am 100% on board and can’t wait for this to start. Over the course of a hockey season, there are so many teams looking for help, but not enough qualified instructors to go around. 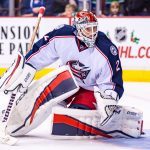 I see many people on the ice with goalies, but all they do is blast pucks at the kids, it gives them some work, but doesn’t do anything with technique or proper movement. Sad to see. I don’t know whether you have read any of the several posts I have made regarding this subject but in my opinion it’s a beginning because there has never been anything.with regards to teaching Parents, coaches or anyone who was interested in working with the goalies. When I started coaching hockey back in 1965 there wasn’t anyone who was teaching the goalies, not in Competitive nor in House League. The goalies were on their own and as you said there were some adults on the ice shooting pucks at them but no one was instructing them. That’s why I became a Goalie Coach. In 1971 I was asked to become the local JR-B team’s goalie coach and that was my first year coaching only goalies. We had an excellent season and the goalies were great. I think what we all have to do is wait for the Certification Program to be introduced to all of the associations. A goalie Instructor doesn’t have to be a goalie or a person who has played goalie but it would help considerably. On the otherhand what I found was that in some cases there are parents who have played goalie but when they played the postion was played much differently then it is today and so they could mess up a goalie in one lesson. Goaltending in today’s hockey is much different than when I played back in the fifties, sixties & seventies. Then we can say something. I’ve been writing to executive members at the association level and much higher but all my letters, emails and phone calls always fell on deaf ears. I am thrilled to have minor hockey announce a program specific for goaltenders. Hopefully the local organizations and coaches will realize the benefit of goalie training. My son has been a goalie for 6 years and only one coach has incorporated any type of drills that benefit the goalies. I like Ian, have purchased books and scoured the Internet to search out age appropriate skills and drills to teach my son. 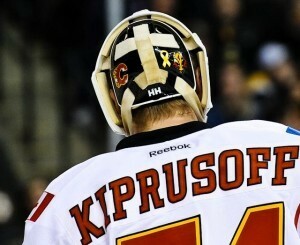 (Not all of us can afford hockey skills training camps).I have been able to get on the ice with him but not last year. My local coaches prior to this year allowed me to come on the ice as a goalie coach. However , the past year at rep level this was not allowed. He was basically used as a pylon. My point is , some coaches recognize the importance of goalie training while others do not. ( you try playing without a goalie). With hockey Canada now going to emphasize the importance of goalie training it will benefit the young goalies coming up through the ranks. It will be just as important for the districts and local organizations to get on board. Parents will need to be more vocal and be made aware that hockey Canada will be implementing this new strategy. If they know, then pressure can be applied from the grassroots level and up to ensure their children get fair and equitable training as all the other players on the team. After all we pay the same price as every one else but get nothing in return. I am not a goalie, though my 9 year old daughter is. There seems to be a void through USA Hockey as well. I agree with Keek, self professed experts are not quite always what they think they are. However, as a student of the game I think that being armed with some tools can fill the gaps and prevent our young players from just being shooter tutors. A few years back I took the Hockey Canada Trainers course, to which there is not an equivalent of in the US nor anything like this proposed program. I believe programs like these are beneficial to those that can’t afford a full time goalie coach or to send our kids to goalie school. Having the ability to work with goalies is great and having a formalized/specialized instruction to work with the forgotten players is even better. I’m a level 4 USA Hockey coach and play the game still and I think that today’s coaches are far more educated in all aspects of the game, more so than we first start playing the game some 40 years ago, when our buddies dad got wrangled into coaching. So, to be able to have us coaches trained to understand the position better can only help our young players…..just my thoughts. Hi. I think this is the most fantastic idea. My son is 12 and loves being a goalie, it is the only position he has ever wanted to play and he has now played for 6 years. He almost quit a year ago after a year (in AA hockey) of simply being a target. We had thought that at the AA level in a city known for putting out many great hockey players a goalie coach would be automatic, we were wrong. Last year he finally for the first time got a goalie coach. He gained confidence, worked hard in practice and was more motivated than ever. He felt like an important member of the team. He had so much fun and really improved his game. He loves being a goalie again. We have spent so much money on goalie camps and semi private lessons. It has never seemed right to pay the same amount as players and get almost no coaching. Goalies cannot learn to be goalies by spending hours of practice time helping out with player drills. They also need someone who knows the mental aspect of being a goalie. Organizations and head coaches need to recognize the need for goalie specific training both on and off the ice. They need to be willing to spend some $$ and provide the ice time needed during practice. I am sure many goalies with great potential have stopped playing due to a lack of coaching. I will be looking forward to seeing the implementation of this goalie development program and can only hope that there will be many head coaches that will embrace it. I think it is long overdue. The goalie certification program should only be available to those who have had 3 or more years experience as a professional (i.e. paid) goalie coach/instructor. There are many goalie schools to draw these people from. The schools often hire young instructors (usually goalies who are in or just finished junior/college/semi-pro) who will have to work at the school for at least 3 years in order to be eligible for certification. Perhaps there will be a pool of certified goalie coaches (CGC’s) from which teams/orgs/leagues can choose from. A CGC can likely handle 1-5 teams (2-10 goalies) in a season so there should be enough to go around. The CGC will get to know his/her student goalies well and be able to prepare drills, give advice, mentor, etc. Rep team goalie budgets can be standardized by the org/league and paid by the rep team to the org/league which will distribute it to the CGC’s according to the number of teams or goalies he/she is in charge of. For house league teams they probably have to raise registration fees or get the funds somehow (maybe from Hockey Canada if it is the one mandating the program). If you think a goalie is worth at least a third of a team’s results, then 1 hour out of 3 hours practice time should be devoted to goalies. In house league this should be mandatory. 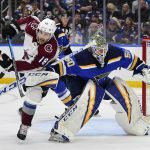 In rep, if head coaches don’t want to give up practice ice-time for goalies, then the orgs/leagues can hold weekly goalie-only practices or clinics. The costs to teams will not be much more than it is now or could be less. Costs will definitely be reduced for goalie parents. The main thing that is happening is that it is taking goalie training and development from a private setting (i.e. the wild wild west of high-priced goalie schools) to a team/league/org level where there is more control over costs, coaches, quality, type and frequency of training, and accountability. Having a team CGC will be great for young goalies. If designed well, I believe it is possible to have a program where all will be in a win-win situation. Sensei, this type of approach may work in the city with plenty of qualified coaches around. But in the rural areas you are sometimes lucky to even get a coach let alone getting someone who is qualified to teach goalie skills. In addition, the rural areas have a hard time raising registration fees without losing more players due to the increasing costs. The goalie skills required at IP, novice and atom are not great and I believe any dedicated person can help goalies at this age. With the introduction of a standardized course all goalies, rural and urban, will have access to training just as the other players on their team have access to standardized training at no extra cost to anyone. As others before me have stated, many people may have the qualifications, but do not have the ability to teach the skills. We have all had people in our lives who have been great teachers but no formal qualifications. Having a piece of paper or even experience does not mean you can communicate effectively. Having a love for the subject and wanting to share that knowledge is far more important as Ian has demonstrated. This program can only help to level the playing field for ALL our young hockey players. What we need is the commitment from the top down to ensure that it happens. I totally disagree with you regarding the new Goalie Coaching Program. I have never been paid for coaching goalies because I don’t believe a goalie coach should get paid. All coaches, trainers and managers volunteer to do what it takes to coach and run a hockey team. I did it for 40 years because I wanted to coach and possibly make a difference in a young boy or girls hockey career. I would also like you to know that in my 40 years of coaching I only coached 2 seasons where I had a relation (step son) on a particular team I was coaching on, therefore i coachec 38 years because I wanted to help. One of the big problems today is that too much emphasis & pressure is being put on the goalie and with all this added pressure it is about time they put together a program to teach people how & what to teach goalies. 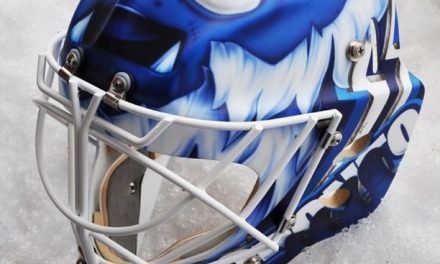 This will now allow goalies to reach the goals they set for themselves. In saying all that, you say that this Goalie Coach Program should be only available to those who have 3 or more years experience as a professional (i.e. paid goalie coach/instructor). 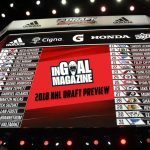 You then suggest that they aquire these people from the goalie schools but do you not realize that a lot of those summer time instructors are not interested in spending the time that is needed to coach goalies during their hockey season, it is a very big commitment that most of them won’t do. They will come out and watch a game as long as they are being paid. That’s when I ask the question: Why should a goalie coach be treated any different than the head coach or any of the assistant coaches of the team? It seems that people feel the goalie coach must be paid and after coaching for 40 years I can honestly say that I do not agree. If the goalie coach is going to be paid then all coaches should be paid also. 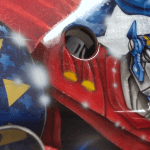 I know that with some competitive team in the U.S. A. this is done but I’ve never heard of it being done in Canada but I could be wrong in my thinking. If there is a coach on a team who doesn’t have a son or daughter on the team then possibly some compensation can be given to that coach for transportation. When I coached privately that is the only money I would accept. I DO NOT beleive that goalie coaches should be treated any differently than all other coaches on a team. I 100% agree with keeks on a lot of self proclaimed goalie coaches are just that self proclaimed. I’ve watched countless instructors watch a goalie make a save and get up with the wrong leg over and over and over through drills and they are never corrected but rather complemented. I’ve watched goalie after goalie after goalie stop shot after shot with out ever actually watching the puck. The head never turns. How do you accurately stop a shot and control the rebound with out even watching the puck. All in front of a self proclaimed goalie coach. After years of practice utilizing incorrect basics, this will eventually become habit. So if a system such as a certification program will alleviate the loss of logical fundamentals I’m all for it! 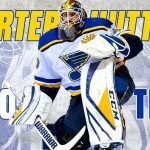 Speaking in regards to the specific ice time needed to work with goalies, I’ve never really had issue with coaches but this also may be due to the fact that extra funds were paid in order to have this service provided and not giving up at least some ice would be a colossal waste of money. In fact the assoc should offer goalie development ice session on a weekly or bi weekly basis with open invitations to all goalies. Think of all the years that goalie parents paid the same yearly fees as everyone else but received absolutely no coaching other then “stop the puck” now imagine if your typical player was only ever told to “shoot the puck” from novice on without any other physical instruction and lets track how player development suffers after 10-15 years! This is an absolute joke. 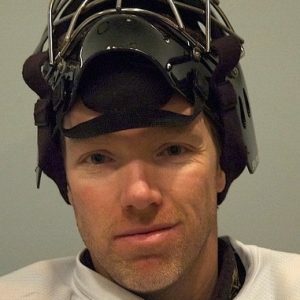 I have been a goalie for 30 years, and have gone through Hockey Canada’s coaching program just so I could work with goalies. That is all I do, I coach about 6 teams goalies. If they think I am going to pay and go through the same leveled system again, just so it says Goalie Coach on my card, they have another thing coming. This is simply another money grab by Hockey Canada, along with their Coaching Refresher scam. If you want your child who is a goalie to have one on one coaching, look for people like me who are willing to work with them. I just read your note and I apologize for not getting back to you sooner but I have been under the weather (as the saaying goes) for the past couple of weeks and so I’ve tried to stay away from my PC but I missed it too much and so here I am. To answer your question in one word: YES, I would be only too happy to help you out with what you are looking for. Through this great site I’ve already been of assistance to a goalie out west as well as two dad’s out in Canada’s East Coast and I’ve had one report come back saying that his son has already improved with what I was able to send him. I’ll get things moving at my end so I can be ahead of everything I need to do. Retired Goalie Coach after 40+ years but very busy on the Internet helping goalie parents and goalies around the world. Certification sounds like a good idea. 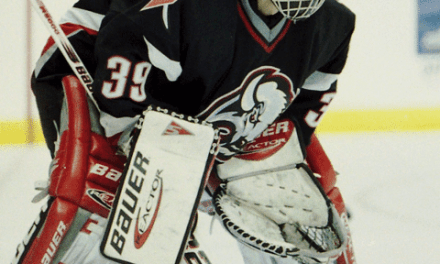 I am an active and life long Goaltender, playing around 150+ recreational and tournament games each year. I also have a specialized education in guiding and coaching children and adolescents through difficult life circumstances and long term crisis. I have tried since 1998 to get involved in volunteering to Coach Hockey in our local Minor Hockey Association to no avail, even in years when they are scrambling for Coaches AFTER mass practices and tryouts have finished. Our local Minor Hockey Association has had the same GM for almost my entire lifetime and is surrounded by odd Politics. 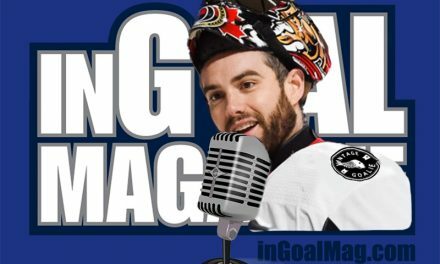 “My Son runs the Goaltending programs…” the problem is, he won’t allow anyone to get involved in the organization if there is the remote possibility that they may be more effective or knowledgeable than his son. I guess that’s the privilege that comes with having a brother coaching in the NHL? But similar politics seem pervasive in many local Minor Hockey Associations across the country. Maybe establishing National Standards on how these organizations operate would have a greater effect on even more young players? Maybe a good next step? 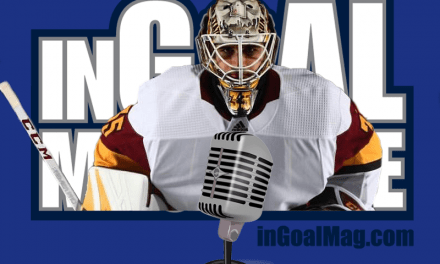 Several local Goalies have gone on to start their own Goaltending schools or join other established Goaltending schools, but none of them are involved in Coaching with our local organization. You can create the programs, implement the programs Nationally and certify potential Goaltending Coaches, but what good does that do when the Hockey Politics prevent quality Coaches from getting an opportunity to participate in a Volunteer capacity anyway? Good intentions, serious barriers to implementation. 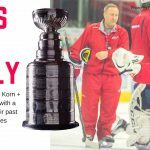 I think all of this is great but would love to attend a clinic with other goalie coaches. I have contacted Hockey Canada waiting for their goalie specific goalie training to come to my area, and have spoken with my local hockey organization about bringing the clinic, but neither has produced a clinic. I was a head goalie instructor at camps, and have worked with goalies from HL to AAA all-star, so I have a certain amount of experience, but would feel that I would benefit from working with and listening to others who have experience working with goalies and their development. Goalie parents spend a lot of money for their children’s development in this unique position. I see there is a plan. I think there would be a real benefit to provide a forum for people who wish to advance their own knowledge, have it confirmed, and improve goalie training and development in their local areas for all levels? Thanks. I read this a year ago, not much, if anything has changed. I saw another article this week stating essentially the same thing…so I posted the comment below on that article, but I thought it made sense to also come back and put it here. I find it amazing that this has taken nearly 20 years and we are still so far behind when it comes to goaltending instruction at the minor hockey levels, it is ridiculous. I was fortunate to have been invited to Finland by the Finnish Ice Hockey Federation back in 1996. 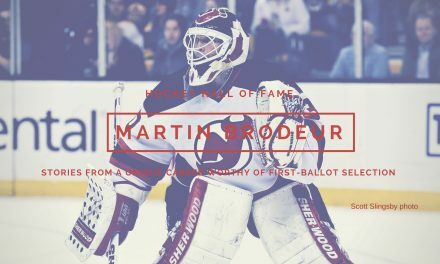 I spent a week touring the country with a gentleman who is one of the catalysts in developing their goaltending system, which IS and WAS the best in the world. During my visit, I quickly learned why they were so far ahead. It was a huge eye opener and I came back with a real desire to change what we were doing here in Canada. I approached Hockey Canada with a 6 page letter, explaining my findings and what I thought we could do to build the Canadian goaltending knowledge throughout minor hockey. Educating the coaches, giving them the tools. I offered to help in any way I could….I was completely ignored. Tried several times, never so much as a response. The thinking back then was: there is no way we aren’t the world leader in everything hockey related. For nearly 30 years the biggest complaint I have head from goalies and goalie parents is: “my coach doesn’t know how or what to do with goalies.” I was fed up and embarrassed at the state of coaching in Canada, in terms of goalie skill development and knowledge. I made it a personal mission to change this as best I could. Since then I have done my best to educate and work with coaches to develop an understanding of the core essential skills needed to work with goalies. We have run dozens of clinics for minor hockey coaches on how to better work with their goaltenders and presented numerous seminars, including one just last month for 80 coaches from all over SW. Ontario. We have done this all without charge and started an initiative to support charity with our recent seminars. I’m thrilled Hockey Canada has finally realized, but it’s long overdue and still not well organized. Read the article above…”also teach a goaltender how to play the puck”. Seriously, this is our concern. Shouldn’t the focus be on core essentials skills like; balance, movement, positioning, etc. This summer we are thrilled to have our own Goalie Coaching Certification program for minor hockey coaches. This includes a 200 point written test, seminars, theory sessions and 17 + hours of ice time, actually working real goalies on the ice. This and an ongoing structure to implement it, is what is needed. Hockey Canada….it’s 20 years later, you finally listening, but the wheels of buracuracy move far too slowly! Consequently, there are a lot of kids who continue to suffer and will continue to do so until we implement systems and develop the people responsible for developing the young goalies. At least we finally admit there is a problem! Hi Tracy, depends where you live. The level 1 clinic has been offered every year in our province since 2015, and at least twice in our local region. If you haven’t been to a clinic yet, don’t expect too much in terms of resources such as practice drills. The clinic is just a framework for further study of the position. Just as they say goaltending development is a marathon, not a sprint, so is this certification program. As a parent who never played goalie seriously (I liked scoring too much! ), the clinic was an eye opener and a catalyst for me getting involved in the development of a few house league peewee goalies, including my son. One of those goalies has since played the highest level of hockey in our province as a bantam. I like to think I had something to do with it, but it was the clinic that helped me believe I could help in some way. The head coach would not have asked me to help if not for my attendance at the clinic. I believe the main benefit to the program, in theory, is accessibility to goalie coaching for all minor hockey goalies just as there is for skaters. As already stated, the key is getting the associations on board with the idea (no pun intended.) They have to offer the clinics, sell it to the head coaches, and/or mandate the program, if necessary. It seems to have stalled there, but I still have hope.